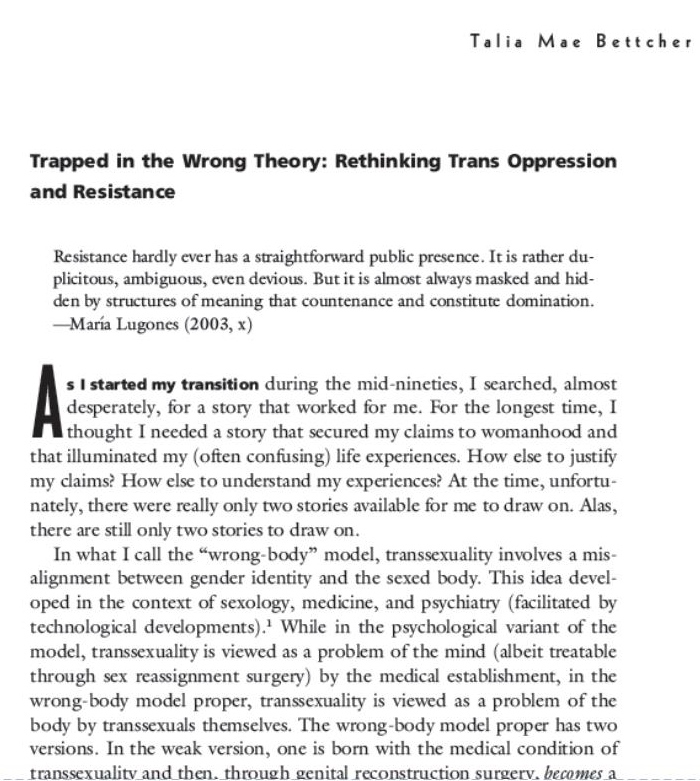 “Trapped in the Wrong Theory: Rethinking Trans Oppression and Resistance” new article by Talia Bettcher is out! Click here to read the entire article, which will be available in Signs (Vol. 39, No. 2, Winter 2014).